Gabe Brown, along with his wife, Shelly, and their son, Paul, farm over 5,000 acres near Bismarck, North Dakota. Intent on emulating nature, their innovative farming practices have resulted in corn yields that are 25% above the county average. During drought years while their neighboring conventional farmers face a disastrous lack of hay, the Brown’s hay harvest illustrates the benefits of their regenerative agricultural practices. 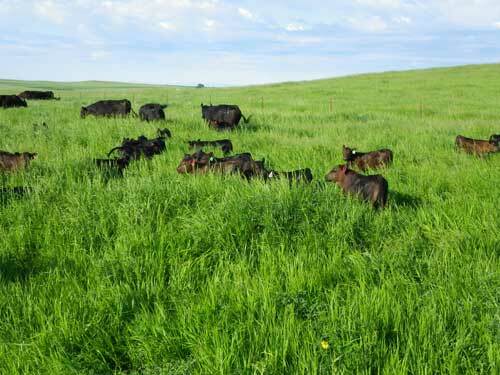 Their diversified farming operation includes livestock, cash crops (including spring wheat, winter triticale, oats, corn, sunflowers, grain and forage peas, hairy vetch and alfalfa), and cocktails of cover crops that keep the ground covered as long as possible in their brutal North Dakota weather. Formally a conventional farmer, Gabe Brown uses no synthetic fertilizers, fungicides, or pesticides on his ranch. Plus they use no GMO’s. He is working toward eliminating his occasional use of herbicides. His attention is focused on improving the soil and working with nature’s cycles to maximize quality of life on the ranch–for the animals, for the plants, for the soil microbes, and for the Brown family. For instance, by shifting their calving from winter to spring, the herd is healthier and the farm work is less nerve-wracking and more relaxed. 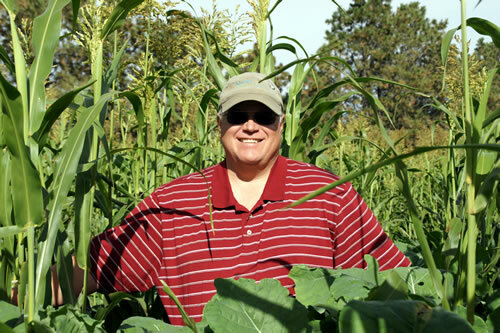 Gabe Brown pictured in a high-brassica cover crop on his ranch in North Dakota. 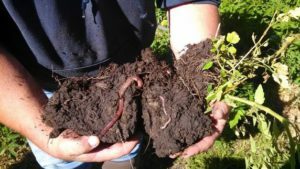 While these cover crops are purposely grown to improve soil health, Brown notes that an added benefit to diversifying crops is a polycultures landscape with natural predators to ward off most pests. Photo courtesy of Brown’s RanchFor Gabe, cover crops are integral to farm planning and a carefully chosen cocktail of cover crop mixes address specific soil/crop needs above and below the ground. According to Gabe, “There are billions of mouths to feed below the soil surface and we need to feed them!” and “Mycorrhizal fungi are KING”. Buckwheat and sunflower in the mixes provide pollinator food as well as microbe food. 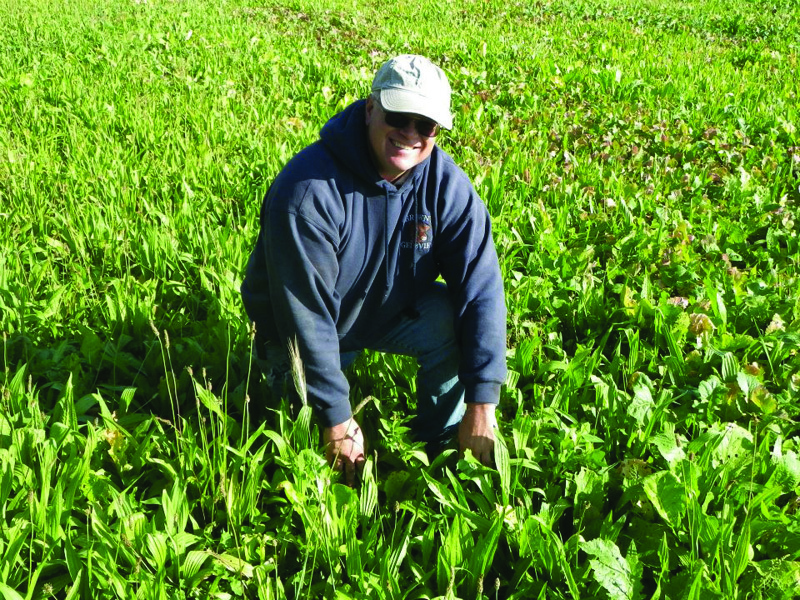 Gabe gets the cover crop growing as soon as possible in the spring and keeps the ground covered all through the season and into winter as far as possible – referring to cover crops as “armor” against topsoil degradation. They have practiced no-till farming since 1993 and consider no-till methods a key component for soil improvement and soil protection. Great soil makes for nutrient rich forage, which affects the health of the herd and the quality of the meat/eggs that are harvested for consumption. The Brown’s extreme attention to detail contributes to their success. Fenced areas for animal forage are often moved once or twice daily and foraged areas are monitored for a harmonious balance of needs–food, weed control, family vacations, etc. It is fascinating to hear how Gabe Brown’s holistic land management has resulted in dramatically improved conditions all around – for the animals, for the cash crops, for the soil, and for the farm family. Check out this short video by SARE featuring Gabe Brown. According to SARE, Brown’s Ranch has over 2000 visitors annually – including visitors from all 50 states and 16 foreign countries. Learn from Gabe Brown in person: At the Organic Growers School Spring Conference 2017, Gabe Brown will teach a Full Day Pre-Conference Workshop on Friday, March 10 entitled “Treating the Farm as an Ecosystem”. On Saturday, March 11, Gabe will present a keynote talk “Holistic Regeneration of Our Land – A Producers Perspective”. He will also teach two conference classes – “Animal Integration with Gabe Brown” and “5 keys to Building Healthy Soil with Gabe Brown”. Sign up to attend! Ruth Gonzalez is a former market farmer, gardener, and local food advocate. 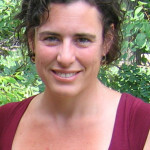 She serves on the Organic Growers School Board of Directors as Vice President. In her job at Reems Creek Nursery, Ruth offers advice on all sorts of gardening questions, and benefits daily from the wisdom of local gardeners. Hello, I have been watching Gabe’s videos on cover crops, but I would like to know how to terminate these cover crops to plant vegetables in the spring? Great questions Wayne. I too was fascinated by this when I first heard Russell Hedrick and Gabe Brown talking about planting directly into the cover crop. Generally it’s done using a roller or crimper and you can see 1001 youtube videos on the variations in equipment and styles. I chose this video as an example because it’s a walk-behind tractor instead of a riding tractor. Apparently you can also smother, cut, or burn. If you have a big enough area, try all of these methods and see what works best for you.